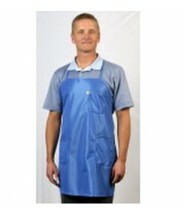 Tech Wear BIA-43-L barbeque style ESD-Safe apron is your economic solution for protecting static-sensitive products from the static that is generated on the front upper body. Made from IVX-400 material. 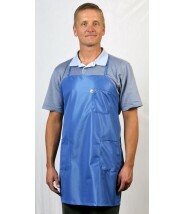 Tech Wear BIA-43-L Specifications: Content: 93% polyester, 7% Carbon Thread Fabric weight: 4 oz. per sq yd Surface resistivity: 105 ohms per square Static decay: 5000V to 500V < 0.01 second Note: Meets normal FR requirements for polyester fabrics. 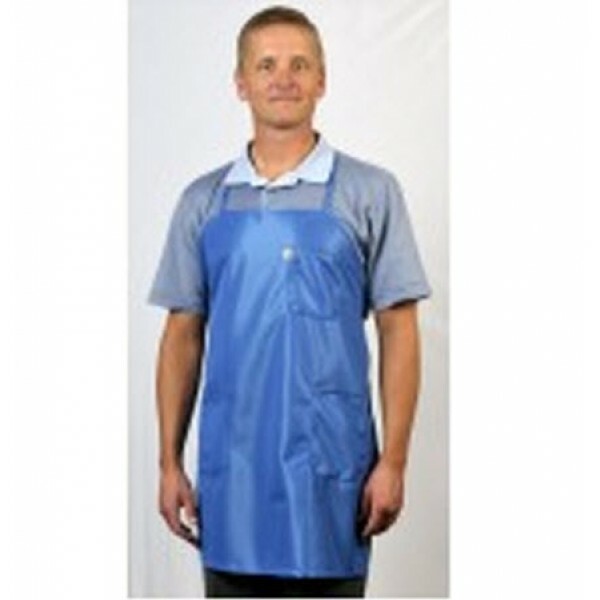 Fabric will not crock off onto other surfaces. Fabric is light weight 70 denier knitted yarn construction. Seams in all constructions maintain panel to panel continuity.